The condition known as pleural effusion occurs when fluid collects next to the lung. This fluid buildup may cause breathlessness in the person. In case the buildup has become excessive, the fluid may need to be artificially drained by medical professional. To treat this fluid buildup, doctors usually target the underlying cause as well. Inside the chest, a thin membrane called pleura covers the lungs and lines the inner part of the chest wall. The two layers of pleura usually have a little fluid between them which serves as a lubricant to allow your lungs and chest to remain frictionless during the breathing process. A pleural effusion occurs when the fluid buildup gets excessive and effectively separates the chest wall from the lungs. Various conditions are responsible for the occurrence of the complication. 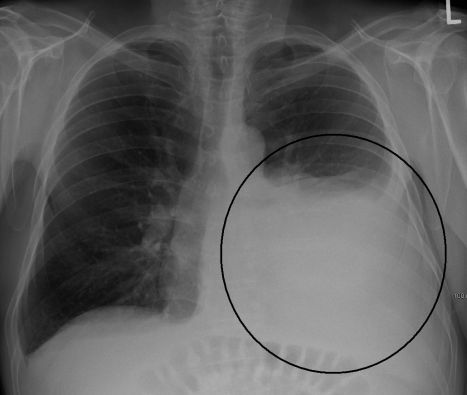 An inflammation of the lung and pleura due to the presence of cancers, tuberculosis and pneumonia is the most common cause of a pleural effusion. Condition like systemic lupus erythematosis and rheumatoid arthritis may also cause pleural effusion though it is rarer for these conditions to result in this complication. In case of a heart failure, a pleural effusion may also develop along with swelling of the legs with fluid when fluid seeps out of the blood vessels owing to back pressure. A same kind of seepage may also occur due to low protein level in the blood when kidney diseases are present or during cirrhosis of the liver. A pleural effusion is often painless though it may come with chest pain too. Breathlessness is the most common cause of this complication since the effusion prevents the lungs from fully expanding. If the effusion has become too large to go away on its own when the underlying reason is treated, doctors may opt to perform a pleural tap or a pleural fluid aspiration.